The Family Happy Hour continues in the Garden at 116. 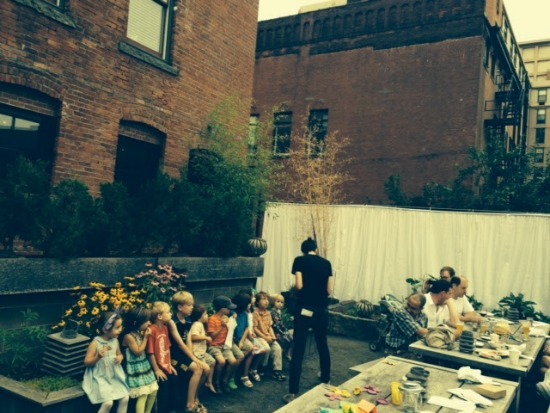 Every Saturday from 4 - 6pm bring your family and meet up with friends in The 116 Garden. Kids Meals are Complimentary (3 Choices - one always pizza & at least one vegetarian). Supervised Crafts Table stimulates the creativity for the littles and facilitates relaxation for the the bigs. Crafts excellent for child self esteem. Socializing excellent for adult sanity. Space is limited outside so please forward this message carefully.